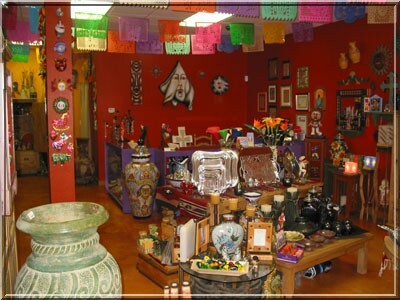 We specialize in handcrafted Latinamerican and Southwestern Home Decor, unique Sterling Silver, Designer and Fashion Jewelry from around the world, aroma therapy products and Gifts. Our Fine and Folk Art collections include original and unique pieces from Master Artisans such as Carlos Albert, Rodo Padilla, pottery from México, Perú, etc., and exclusive jewelry designs and art work from Lorena Angulo, and much more. Please stay tuned for information about the re-opening of our retail store in San Antonio, Texas, home of "The Alamo". Coming soon also our new website with on-line shopping !! !